It’s that time of year when students up and down the country are moving out of their current student accommodation and moving into their new student housing for the next academic year. Although many students might be heading home for a few months to reap the comforts of home until the new semester, they will still need to vacate their digs and transfer their belongs to the new place. Commonly student leases run for 1st July until 30th June. With this busy time of year comes the process of returning deposits. It’s a tense time for both sides. Tenants want every penny back. Landlords and agents want to find their property in good condition and have no cause to use some or all of the deposit for repair or maintenance work. It’s a delicate area which can result in disputes when the two sides don’t agree. The situation isn’t helped when the media publish only the extreme cases where legal action has been taken, a property has been completely and utterly ransacked or an unscrupulous landlord has run off with a tenant’s money. Just last week the Manchester Evening News covered one student landlord’s experience and the dreadful state some of his properties were left in. Thankfully, these are very rare cases. To help protect both parties, it is now a legal requirement for landlords and letting agents to place all deposits into a registered tenancy deposit scheme or deposit protection scheme. These are government-backed schemes and the money is kept there throughout the length of the tenancy and only returned once any diputes have been rectified. 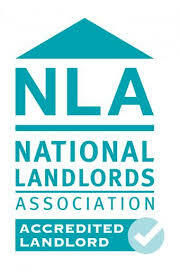 Neither the landlord nor the tenant can access the money whilst it is held in the scheme. This protects the landlord or agent from any false use of the funds and the tenant can rest assured their money is safe and secure. There are a number of official tenancy desposit schemes available and it is down to the landlord or agent to chose one and register themselves.